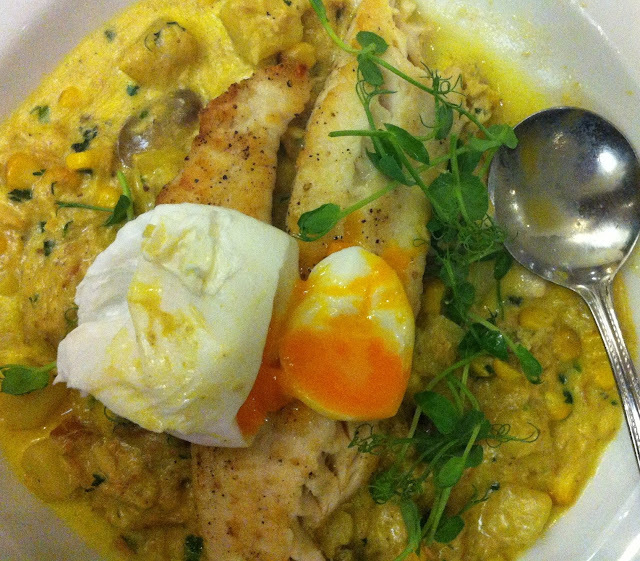 Lightly smoked grilled fish fillet on a fish chowder with a poached egg on top. West Plaza Wellington. Actually it was damn delicious and quite filling on a freezing Wellington evening.